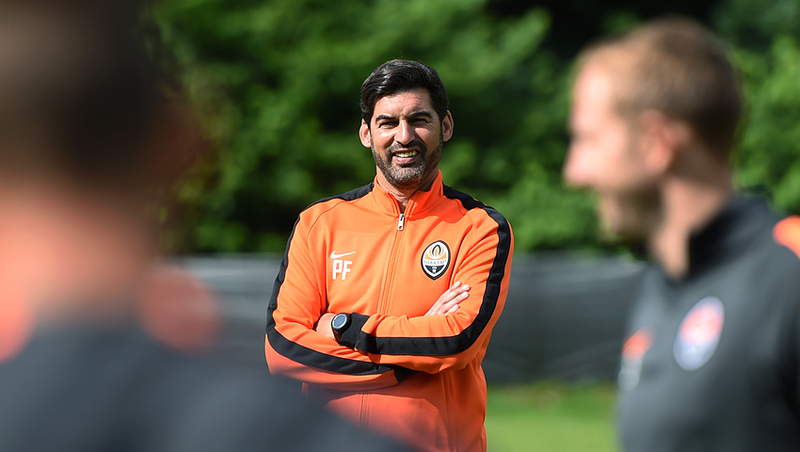 Paulo Fonseca organized a team relay, which livened the everyday routine up. The atmosphere of fun and thrills in the Donetsk team remained until the end of the session. Working with the ball on a match day has been traditionally limited to playing 'squares' and practising set pieces. Goalkeeper Mykyta Shevchenko trained individually and Ismaily returned to the main group. - In the game against Vitesse I suffered an injury, - Shakhtar defender Ismaily says. - I injured my hamstring and had to take a break from training for a few days. But I feel much better now. Today I trained together with the team. I think I will need a little more time to make full recovery. We are having a great training camp here in the Netherlands. We have all the necessary conditions for high quality training. We need another week, and we will be fully prepared for official matches. In a few hours the Pitmen will hold their final friendly game of the Netherlands training camp. The kickoff for the Nordsjælland vs Shakhtar game is at 5 pm Kyiv time (EET). You can watch the game live on Futbol 2 TV channel. Paulo Fonseca announced tomorrow a day off for the team. You can buy the Pitmen's training kit in our online store.